Magazines are still loved in their current, hard copy form. We like to go into a shop, pick one off the shelf and read through it whilst we wait for the train, on our journeys home and any other time when we need some light entertainment. Things are changing though, as a large number of publishers are seeing the potential in digital media and are beginning to bring their publications away from paper-based mediums. For clarification, we don’t believe that books, magazines and any other type of publication will ever stop being produced in its current format. We simply love the feel of a glossy magazine in our hands or the smell of a new book and, though we are starting to leave paper documents behind in the workplace, our special affiliation with magazines and books has been around for centuries. There will always be sceptics and traditionalists who don’t believe in digital as a realistic format but the number of people that are currently purchasing eBooks and digital magazines online would suggest otherwise. Sales of eBooks rose by 70% in 2012 and have since overtaken physical books in terms of sales. EBooks and hardcopies are usually evenly priced so costs don’t really come into this trend. We believe the number one reason for the rise of digital reading platforms is convenience. It’s so easy to go on Wi-Fi with your e-Reader or iPad, find a book, buy it and start reading it immediately. We’ve been doing the same with the MP3 for years but there was less furore when the digital format became king of music. So, what’s different with books? Well, there is a genuine loyalty to the old books and magazines. As a nation, we have hundreds of years of experience with a book from reading a child a bedtime story to falling asleep in bed while trying to read one more chapter. Despite this, the numbers of digital converts are increasing and increasing fast and the same goes for magazines. Most magazines these days, with the exception of a few niche publications, are designed digitally and therefore easy to translate into a digital version but there are thousands of magazines out there with an excessive backlog of issues that aren’t being utilised. The only real way to take advantage of this is with magazine scanning. This service is usually only provided by professional magazine scanning companies. Scanners are available to buy but they come at a high price and can come with a tricky learning curve, so we would always suggest to leave it to the professionals. Magazines can usually be scanned intact, if there is only a limited amount of that copy left to work with or they can be scanned ‘destructively’ which effectively means removing the spine from the magazine before running the pages through a feed scanner. 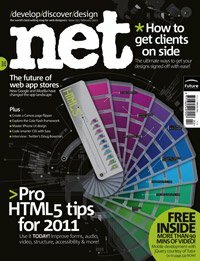 .Net magazine offer their backlog at reduced costs and for free to their online subscribers. 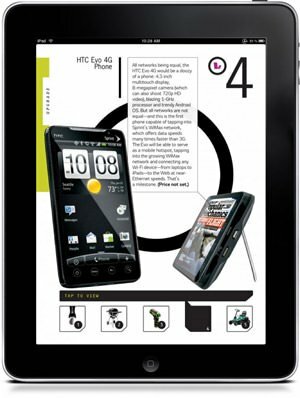 Once older magazines are digitised, their use increases considerably. They can be made available as online flip books to subscribers or as examples for an incentive to buy. They can also be sold as individual PDFs or even as e-book files to be sold via the likes of Amazon for the Kindle and Kindle applications or on the Apple book store and much more beyond. Many magazines make their back catalogue fully available to current online subscribers for free, as an incentive to subscribe, or at a reduced cost to buy per issue. The biggest effect that comes from going digital through magazine scanning tends to be less distribution and printing costs which are of course a major benefit for publishers. From a financial point of view it makes sense to go digital, depending on your target market. If your publication is aimed at those with digital gadgets and computers in use regularly for news updates and the like, then this is a very good idea. Here at Pearl Scan, we offer an affordable and completely bespoke magazine scanning service. If you would like some more information on how our magazine scanning services can benefit you or for a free, no obligation quote, get in touch today.